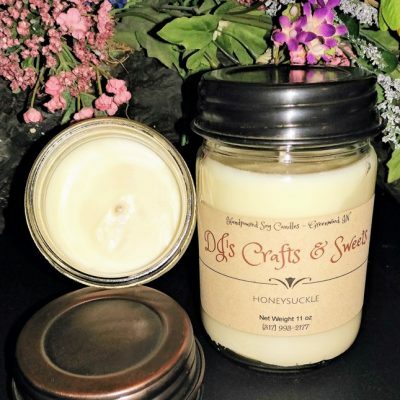 Hand poured, highly scented soy candles. Our jar candles are uncolored, so they match any décor. Our shot melts, tealights and bark all have color. 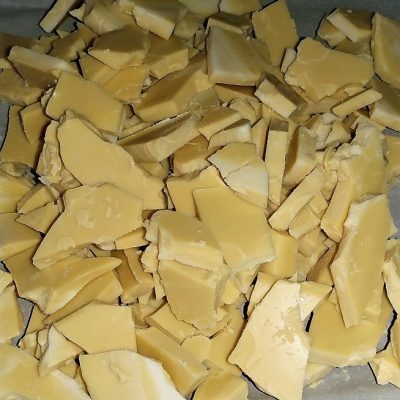 We have over 40 scents to choose from. We also offer Fudge, Cashew Brittle, Peanut Brittle, Turtle Cups and Carmel Sause. 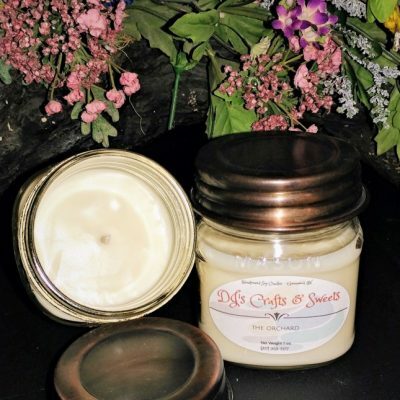 Please visit our site for more information on the sweet side..
About Us: All our candles are hand poured and made with love. Our candles have been making homes smell wonderful sense 2014. We hope you enjoy our candles and sweets as much as we love making them for you.